This beautiful keepsake DVD is available on Amazon, in LifeWay and other select retail outlets. 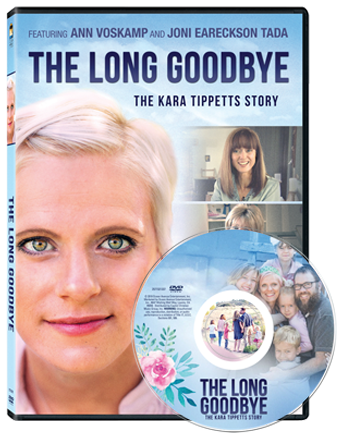 The DVD includes the full length movie as well as exclusive bonus content featuring Kara's friends, Ann Voskamp, Joanna Gaines & Joni Earekcson Tada. The Film includes inspiring original music by Ellie Holcomb, Selah, Travis Cottrell & Sofia J. The film will also be available for rental and digital download on iTunes, Amazon Video, GooglePlay and Vudu. We’re passionate about sharing Kara Tippetts Life & Legacy through this powerful documentary film.